A picture of Rabbi Shlomo Carlebach holding a guitar at the Kotel hangs on my dining room wall. Why? 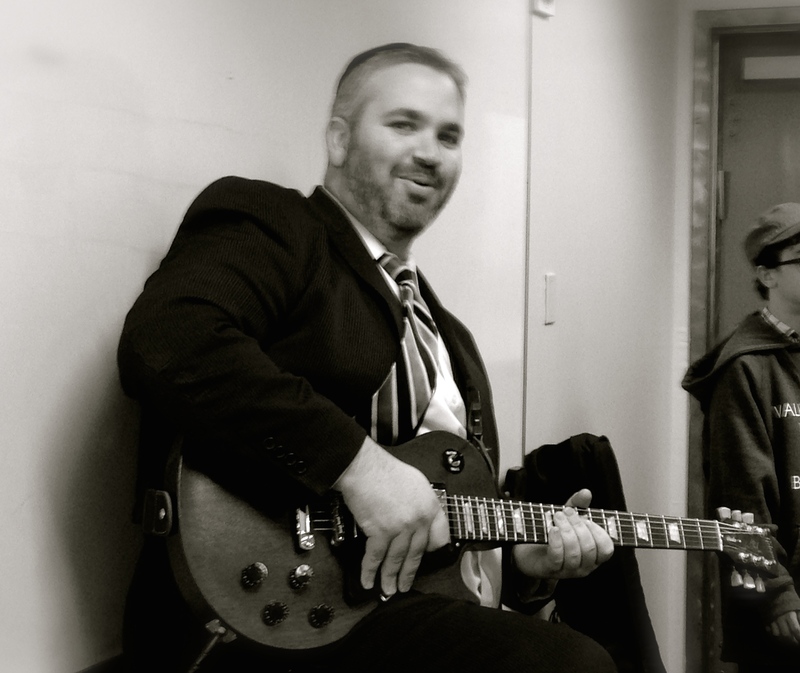 Because it inspires me that a Rabbi picked up a guitar years ago and combined his immense Torah learning, love for Judaism and passion for music to inspire generations of Jews towards our faith. Known as the “singing Rabbi”, years after his passing his songs and teachings continue to inspire. As the great guitarist Steve Vai one said, “I’ve learned over the years that you’re going to be most successful at the things you’re most excited to do. Every artist has a special set of tools. When you really use those tools, and you make yourself feel really good about the product you create, I think you’ll find an audience for it.” Clearly Rabbi Carlebach found his tool in Torah and song. Despite decades of pushing the arts out of our schools due to tight budgets, need for “better” test scores, ever growing and crippling state and federal mandates and a “core” curriculum that presented the arts as nice, but unessential, we are finally seeing a reversal of this terrible trend. We are finally seeing more arts integrated inside and outside of the classroom ensuring more “tools” are available to our students in their journey towards lifelong learning and purposeful living. I wanted to share one such example at Valley Torah. If you come visit my office at the top of the stairs you will notice that I share a wall with classroom number one. In this classroom students learn amazing Torah and general studies throughout the day. I feel fortunate that through our shared wall I can often hear the beautiful sounds of learning. However, once a week, I look forward to a completely different sound of learning. On Wednesday afternoons what I hear from my office is literally music to my ears. 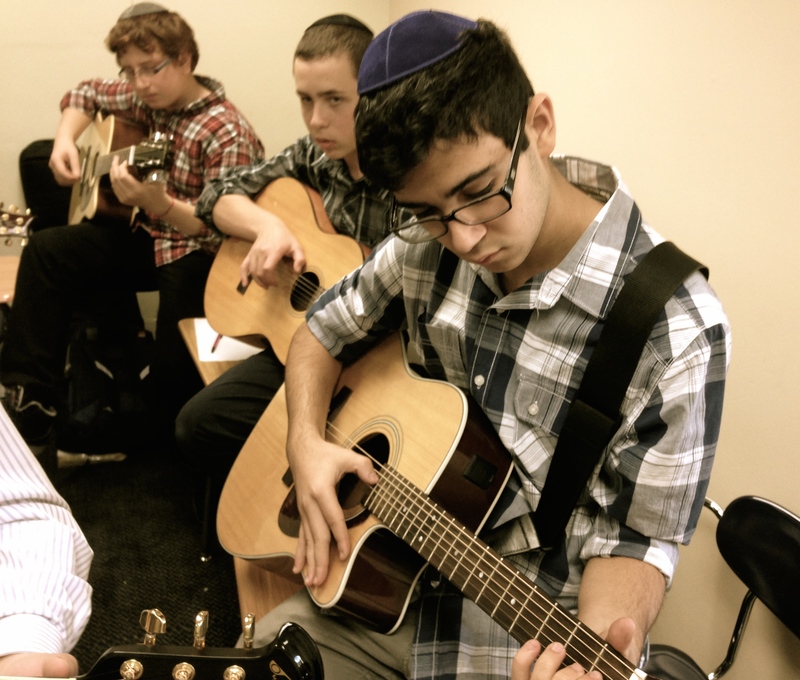 Wednesday is when the new Guitar Center Guitar Club meets facilitated by our own Rabbi Moshe Samuels. At the start of the year, as we believe that music and the arts must be an option for our students learning experience, we offered the Guitar Club. Immediately, there was significant interest and the first club was packed. Sadly though, there was more interest than there were guitars. So, the students shared what was available as Rabbi Samuels taught them the basics and occasionally shredded away on his axe to show them what they could accomplish. We knew we needed to meet the demand so we turned to the only place we could think of that loved guitars as much as our students; Guitar Center! We are very grateful to Mr. Brian Berman of Guitar Center who shared our desire to give our students the opportunity to play and creatively express themselves through music. He graciously donated ten new acoustic guitars to the club and now each student was able to have their own “tool” to create and jam to their hearts content! I leave you with this. In the movie Mr. Holland’s Opus, Vice Principal Wolters says to the music teacher Glenn Holland, played by the great Richard Dreyfuss, “I care about these kids just as much as you do. And if I’m forced to choose between Mozart and reading and writing and long division, I choose long division.” Mr. Holland responded, “Well, I guess you can cut the arts as much as you want, Gene. Sooner or later, these kids aren’t going to have anything to read or write about.” The arts may not be the only thing our students should learn, but it must be an integral part of what they do learn. Thank you again to Mr. Berman and Guitar Center for realizing this with us.